It’s a bit of a silly word, but a babymoon refers to the final holiday a couple takes by themselves before their baby arrives. When I heard about the concept, I didn’t need convincing to take one. Not only do I take any excuse to travel, but I also genuinely think it’s a great idea to take some precious couple time before you welcome someone new into your life…forever! 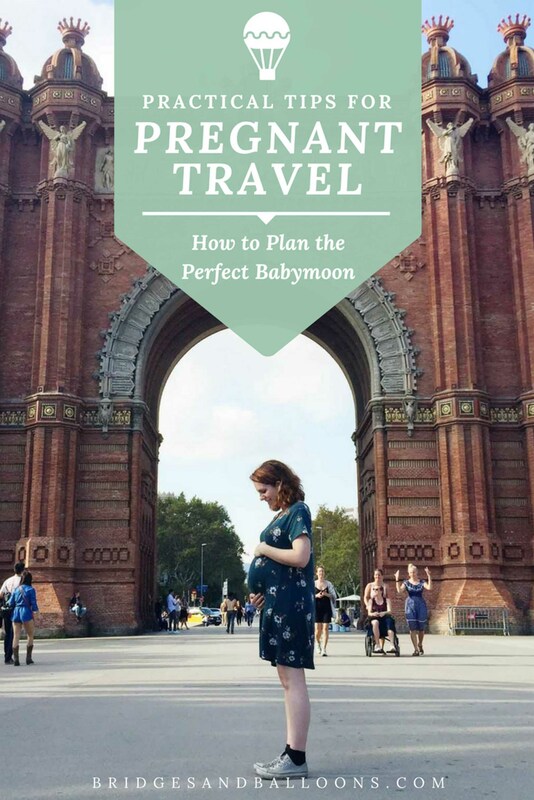 So here’s a post with some babymoon ideas and tips for travelling while pregnant. Steve and I went away on many short trips while I was pregnant, from festivals to film-making trips in the UK (see a full list at the bottom of this post), but we also wanted to take one big babymoon, a special, long and indulgent holiday. 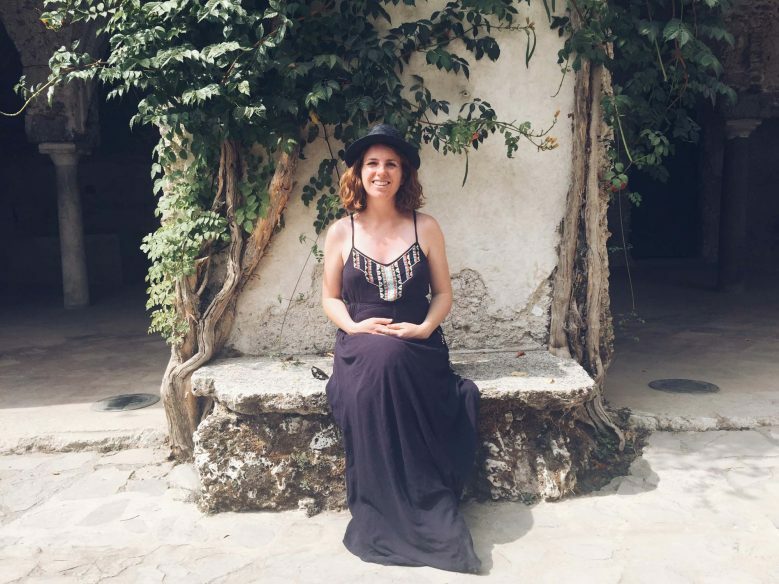 We chose an Italian babymoon for a variety of reasons, mostly because we adore it – the food, culture, nature, and the food again – but also because I didn’t fancy travelling long-haul while pregnant, and because a huge swathe of the world is currently out of bounds for pregnant women because of Zika. We also took a shorter babymoon to Barcelona. All our trips were relatively tame. 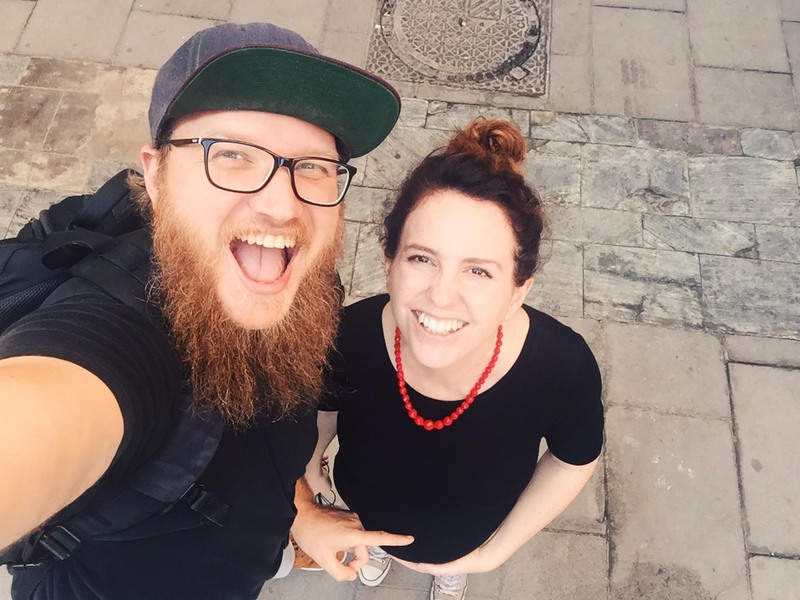 I know pregnant women who have been far more adventurous, backpacking India, hiking mountains and travelling much further afield, but for Steve and I, after so long trying to get pregnant, we wanted to play it safe. This post is about all the things we took into consideration, and the the tips we learned, when planning our babymoon and the travelling we did while pregnant. I’ve also written individual posts about our trips to Latitude, Italy and Barcelona, as well as one specifically about what foods to avoid while pregnant in Italy. With all of these tips, it ultimately comes down to how you personally feel. Pregnancy is a unique journey for everyone, so it’s hard to give blanket advice. Some women travel loads, while others can’t face it at all. Here are just a few pointers that will hopefully help you work out what’s best for you. Enjoy! Most people say that the best time to travel is during the second trimester when your energy is hopefully higher and morning sickness is behind you. 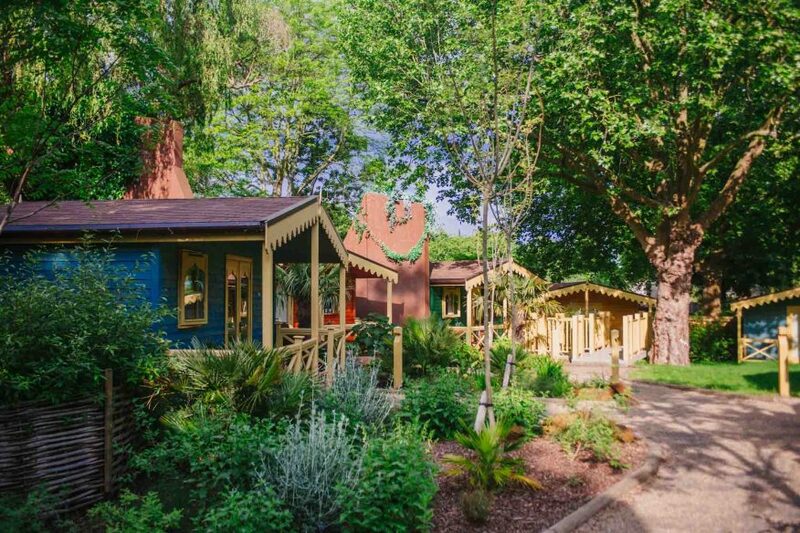 I did six small UK trips during my first trimester – to Devon, Wales, the Cotswolds, Liverpool and Latitude Festival – and was definitely more tired than usual, but still had a great time. I just went to bed earlier than usual. However, I was lucky and had very little morning sickness. To be on the safe side, the second trimester is your best bet. 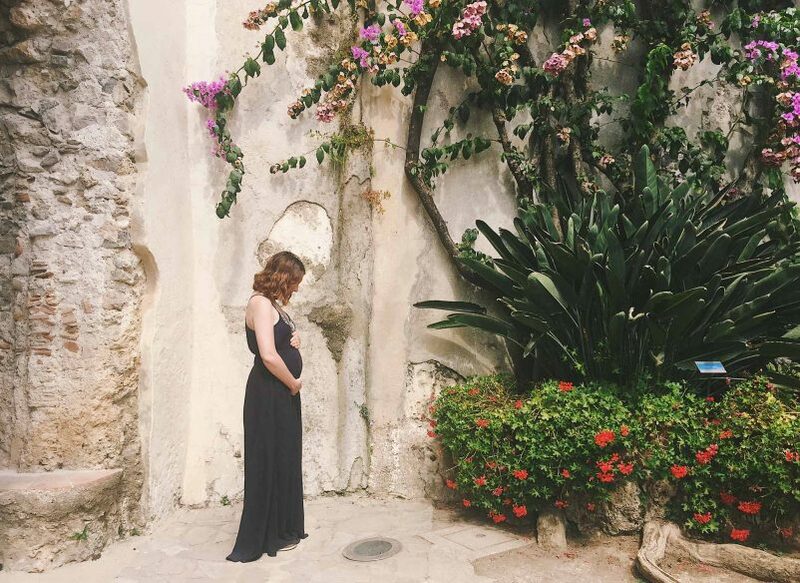 I went to Italy when 17-20 weeks pregnant and feeling pretty good, so we barely had to adjust what we would normally do on holiday. We also went to Scotland during that time, which involved a lot of walking and late nights at the Edinburgh Festival, which again I managed fine. 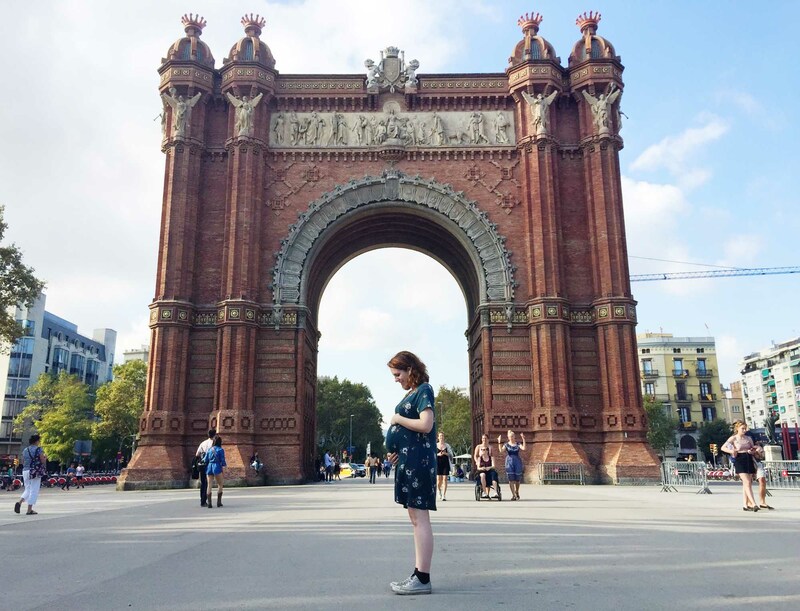 And we went to Barcelona at the very end of the second trimester, which although wonderful, was also when the tiredness was starting to creep back in. For that reason, I’d recommend planning your babymoon for the early-mid part of the second trimester. Once you get into the third trimester, tiredness often returns, plus you’re physically a lot bigger and may not be allowed to travel by air anymore. This can be a good time for a shorter trip somewhere closer to home. We went to Bruton in Somerset for a relaxing weekend away. It’s important to check with your doctor first, but women with an uncomplicated pregnancy can normally fly until up to 38 weeks of pregnancy, although after 28 weeks you tend to need a letter from your doctor to confirm it’s considered safe. Always check with the airline before booking your trip. One thing to bear in mind is that flying during pregnancy can slightly increase your risk of developing DVT. You can wear compression socks/stockings during the flight to reduce the risk, and also make sure to take breaks from sitting still by walking around the plane or doing some simple stretches. And drink lots of water to avoid dehydration. I personally didn’t fancy doing any long-haul flights while pregnant as I wasn’t sure how I’d be feeling, plus I didn’t want the jet lag to compound my pregnancy tiredness. Perhaps if Zika hadn’t been an issue, I may have been tempted to fly somewhere tropical, but I decided that Europe offered plenty of good options and came with the benefit of a short flight. If flying is off the cards for you, you could consider an alternative, such as train travel, a road trip or a cruise. Pregnant women are advised not to carry heavy objects, so bear this in mind when packing for your holiday. For example, you probably don’t want to be lugging a huge backpack around with you. To Italy, I took a cabin-size wheelie bag. We hired a car from the airport so I barely had to move it at all aside from going in and out of hotels/BnBs. The problem was, some of our AirBnBs didn’t have lifts, or they involved up to 300 steps to get to! Because I knew about this in advance, I also packed a big empty shopping bag in my luggage. For the places with steps, I unpacked the stuff I needed for the nights we were there and transported them in the shopping bag, while leaving the rest of my stuff in the car. However, it was Steve who was carrying the shopping bag (plus his luggage), so it’s important you either pack extra light or have someone like Steve who’s willing to help! I’m a big fan of comfortable, loose clothing anyway, so when pregnant, I didn’t pack very differently to how I normally do. But I did prioritise bringing comfortable shoes. Converse and Doc Martens were ideal for the colder months, and Birkenstocks were perfect in the summer. I bought a maternity swimsuit for our Italy trip. I also brought a yoga mat with me, which was good for stretching away any aches and pains, as well as remaining fit and calm. A lot of people advise babymooners to have a holiday that is as relaxing as possible, for example staying in one place for the whole duration. I personally think it depends on how you’re feeling, how far along in your pregnancy you are, and what type of holiday you normally enjoy. Steve and I love to do road trips, taking in a few different places along the way. 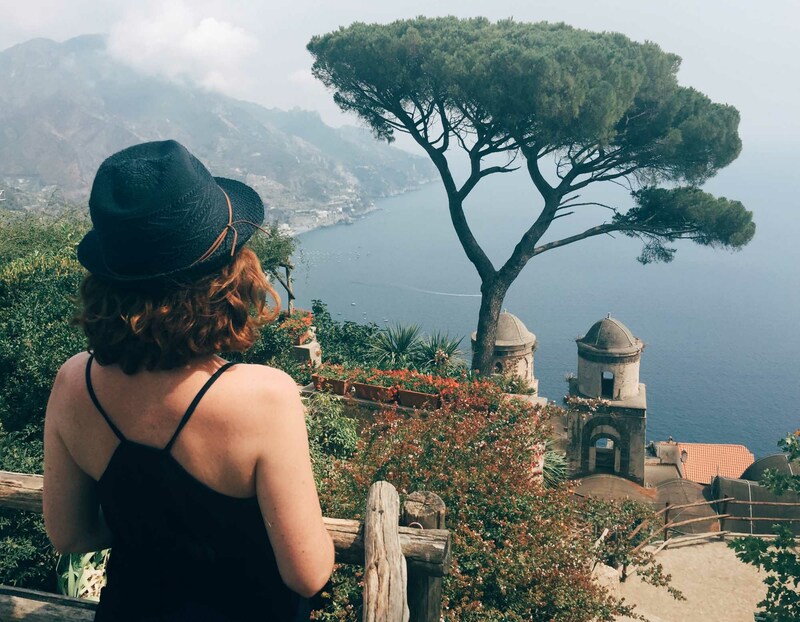 For our Italy trip, we stayed in seven different places over a period of 17 days. Aside from one place where we stayed one night to break up a long car journey, we stayed in most locations for 2-3 nights. And each car journey was no longer than three hours. If you’re the type of person who likes to arrive somewhere, unpack and switch off for at least a week, then you might find this a bit hectic, but for me it worked well. However, one thing to bear in mind is that how you feel during pregnancy is unpredictable and, as people tend to book their holidays weeks or months in advance, it’s hard to know how you’ll be feeling once you get there. Just two weeks before our holiday I was exhausted quite a lot of the time. But I think our itinerary would still have been okay because, although we chose to be active in most of the destinations, we could also have chosen to relax for the entirety. And as Steve was driving, the car journeys were pretty restful too. As with setting the pace of your holiday, choosing a location follows a similar rule – choose what appeals to you and try to build in some flexibility so, if you don’t feel like hiking or sightseeing, you have other alternatives to choose from. For example, I wouldn’t recommend planning a holiday that revolves around a big hike that’s the centrepiece of the trip and offers few other options. Although you might be able to do it, you might also be going through a tired patch and then feel disappointed. Instead, choose a location or itinerary that has options – perhaps there’s a great hike you can do if you feel up to it, but you’d be equally happy relaxing at the hotel or beach if needs be. In Italy, Steve and I stayed in a mixture of cities, coastal towns and countryside. When booking the trip, I was slightly concerned that the cities would be too much. I was worried I might be exhausted and disinclined to wander around. As it turned out, I walked about 40km over two days in Rome (in the August heat) and felt fine! I walked a similar amount in Barcelona. However, even if that hadn’t been the case, I reasoned beforehand that even if all I wanted to do was sit in a cafe and people-watch, that would also be okay. One thing I did avoid was going to a lot of museums or galleries. I didn’t feel like standing around in queues and Italy in the summer is jam-packed with tourists. 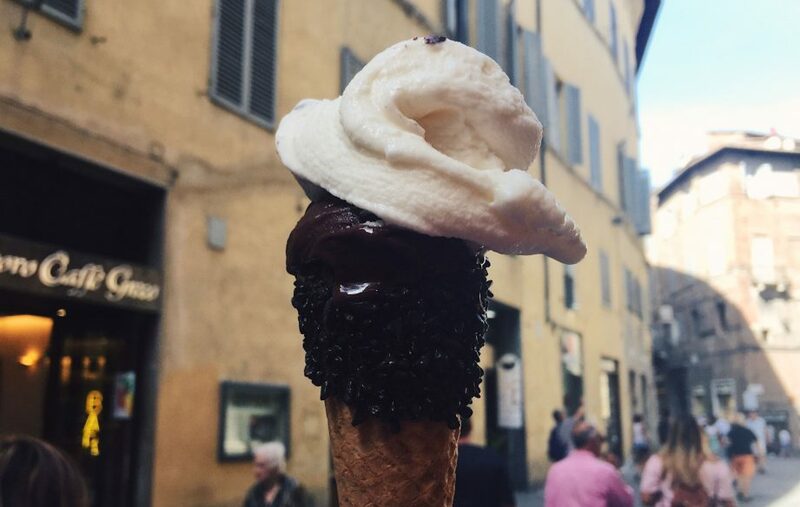 Instead, we wandered the streets, stopped in cafes, soaked in the atmosphere and ate all the gelato we could. Also, if you do set out on a long journey, it’s a good idea to have a contingency plan. For example, when walking around Rome and Barcelona, I knew that if I needed to, I could get a taxi back to the hotel at any time. My cousin made a mistake on her babymoon to Italy when she did a hike to a neighbouring village. Her intention was to get a taxi back from the village, but once there it became clear there were no taxis in sight, so she had to walk the whole way back. Make sure to plan ahead! My friend Frankie from As the Bird Flies has put together a great list of the best babymoon destinations. Although it’s hard to know how you’ll feel during pregnancy, I think it’s worth bearing in mind your general level of fitness. For example, in Italy we spent a lot of time in very hilly places along the Amalfi coast. If walking up 300 steps is something you’d normally struggle to do, then it’s likely you’ll find it even harder when pregnant, so now isn’t the time to stretch your limits. We had five nights staying in places that required this much climbing several times a day. I was 18 weeks pregnant at the time and I managed, but after five days, I’d had enough of steps and was relieved to say goodbye to the cliffs! If I’d been in the third trimester, this would definitely have been too much. Some people thought I was crazy to go to Italy in August at all, let alone while pregnant. But I like the heat and made sure we stayed in places with air-conditioning. The days averaged around 32 degrees, rising to 34 on particularly hot days. I wasn’t suffering from hot flushes, so I found the temperature ideal. Plus floaty, summer clothes are perfect for pregnancy. However, if you do struggle with the heat and you’re feeling particularly hot while pregnant, then perhaps choose cooler climates. But, if you do go somewhere super cold, remember that your usual cold-weather gear may not fit you anymore, so you may have to shell out for some maternity-sized merinos, fleeces etc. 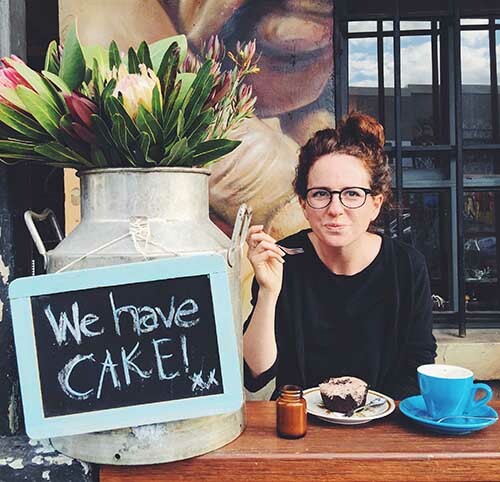 I stayed in all sorts of place while pregnant, from camping at festivals to luxury hotels. 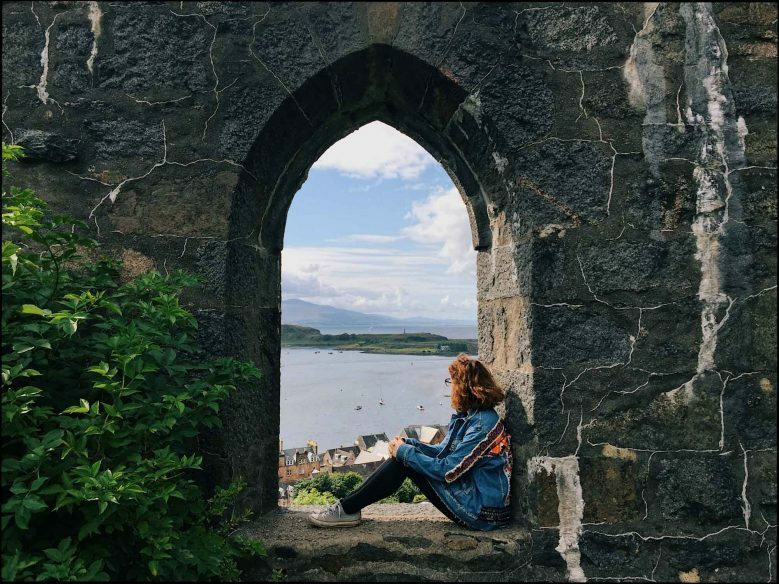 Like with everything else, it’s a lot about what type of travel you normally enjoy, but there are a few key things to bear in mind. The first is where the toilet is! If you’re in stage of pregnancy when you’re often rushing to the loo then the last thing you want is a long journey to get there. At campsites, stay close to the loo, and in hotels/guesthouses, consider where the loo is in relation to the bedroom. We stayed in one place that had an attic bedroom, which meant a climb down some steep steps every time I went to the bathroom. It was manageable, but not ideal. Also think about how you get to the accommodation from the car/station/airport or however you’ll be arriving. Are there lots of steps involved? If so, think about your luggage and consider doing what I did, leaving some in the car while you carry a smaller bag. And as you reach the third trimester, remember that you’ll be feeling heavier and might not fancy climbing up to a treehouse every night (worse if the toilet is at the bottom of the steps!). Health-wise, the number one thing when pregnant is to get clearance from your doctor. The majority of pregnant women are able to travel just fine, but some with complicated pregnancies may be advised not to. If you do travel, it’s a good idea to carry your maternity notes with you, just in case you need to see a doctor while you’re away. As always, you’ll want to have travel insurance. Make sure your policy covers travel when pregnant. I didn’t need to change my existing policy, but in some cases you will. Also check to see if there are any health warnings for that particular country. A good site for this in the NHS’ Fit for Travel. Pregnant women are currently advised not to travel to places that are affected by Zika. You can see a full list here. And if you’re planning on having any fertility treatments, most clinics won’t treat you if you’ve travelled to a Zika-affected area in the past six months. Pregnant women are also advised not to travel to places with malaria, or places that require vaccinations (if you don’t already have them). If going to a place like this is unavoidable, see a doctor before you go. Depending on your attitude, you may also feel more relaxed travelling somewhere with good medical facilities nearby, rather than travelling far off the beaten path. The rules for what pregnant women should and shouldn’t eat vary from country to country and is ultimately a personal choice. When choosing where you’re travelling to, bear in mind what you’re comfortable eating and make sure the restrictions won’t ruin your trip. For example, if you’ve always dreamed of going to Italy to eat all the cured meats then going there while pregnant might not be the best time. I personally found Italy to be perfect for pregnant (and vegetarian) food. I’ve written a full post about the different things to look out for. Above all your babymoon should be about enjoying time with your partner. Make sure you take advantage of all that time together, doing things that might be harder once the baby arrives. Go for romantic meals, enjoy quiet times by the pool, go and see a show or treat yourselves to room service in bed. Indulge! Hello Victoria, Congratulations! Traveling for babymoon sounds interesting to me as I have no such experience. 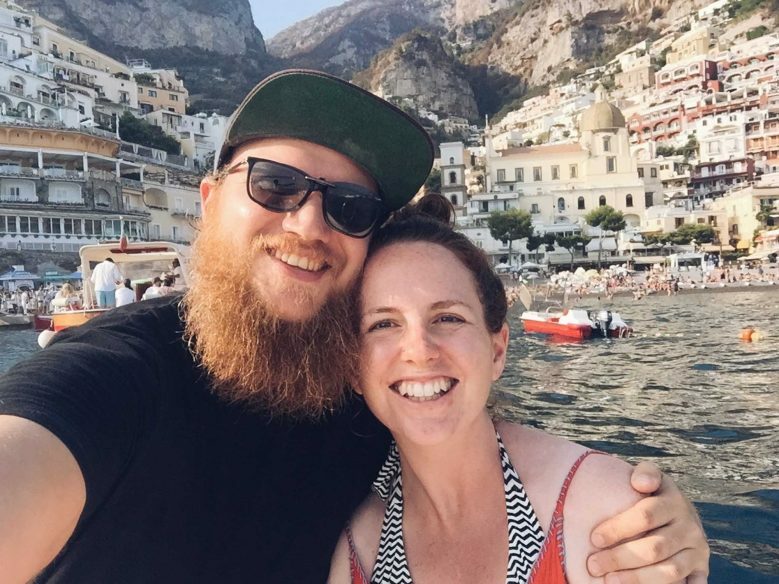 When I was first pregnant I stayed at home.After reading your post I learned a lot of things and I also learned that we can travel for the babymoon.I am four months pregnant and hope this is a perfect time for the babymoon for me! Thanks for the post and good luck with your baby! Thank you for the tips you shared, my wife and I will try to practice these things! Thank you so much for sharing this! I always try to be positive even with the people who constantly tell me that I should not travel pregnant. I will try and follow your tips. Oh yes, don’t listen to them! So long as you’re in good health and feel able to, travelling when pregnant is great! A very well written and informative article. Congratulation!! Traveling is very important during pregnancy. When I was pregnant, I also travel with my husband. Such a delightful advice for pregnant women. Thank you so much for sharing. Thanks! Pleased it was useful ? Such a detailed post full of useful tips. I really want to go there but am a bit nervous about going there alone. Thanks for sharing these advice. Just what I was looking for! Great! What an idea! I am an upcoming Mom. Your tips is really very helpful for me. Thanks for sharing such kinds of wonderful ideas. Perfect! That’s my philosophy as well.Great article you have shared . Thanks for sharing .